Nothing makes me happier than seeing so many Australians come together to support such an important cause like Youth Cancer. Before I was diagnosed, my whole family was massive fans of the Sydney Sixers (My Dad and Brother in particular). 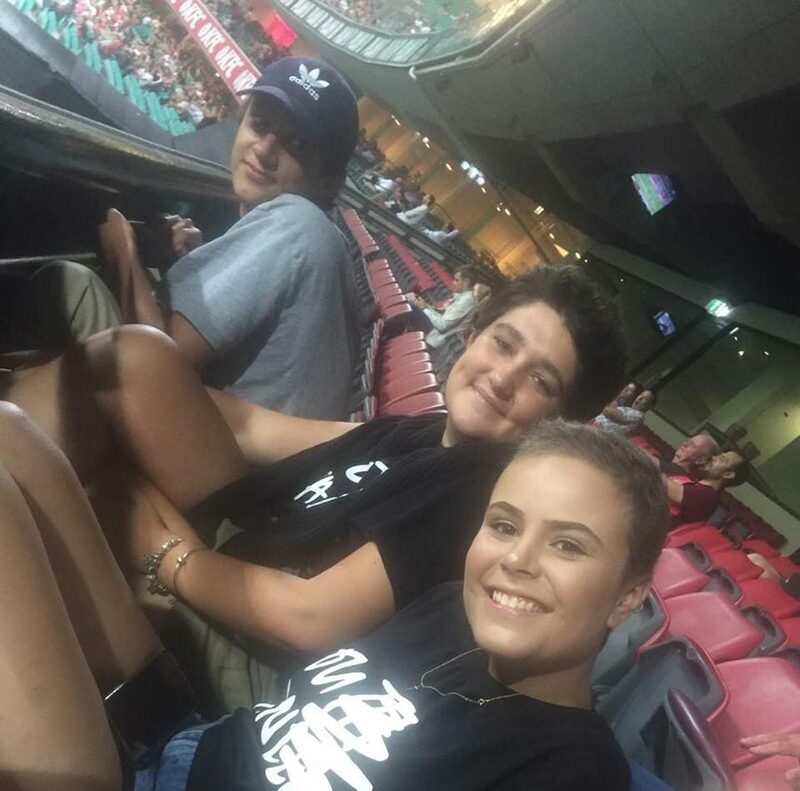 After becoming an ambassador for You Can, I knew that the Sydney Sixers helped out our charity a lot, and finding out that we would be able to sit in a private suite and watch the Sixers game was so amazing! What I was more excited about was the fact that the whole YouCan crew had the opportunity to choose three words that would appear on the back of a players jersey. If you had read my speech at YouCan's Wharf4Ward event, you’d know about a girl named Ceren who unfortunately lost her battle with leukaemia in December of 2016. Through my treatment I would always chat with her -she was basically like my cancer sister. So when we lost her, I wanted my journey to not just be for me, but for her too. I wanted to kill my cancer for the both of us. I would always have in the back of my mind the words “for you, Ceren”. So of course they were the three little words on the back of my player’s jersey. When I first saw the jersey, I was just so content. I knew that the Sixers had a tough game to play, but with the words on the back of that jersey, and the words from the rest of the YouCan crew, I knew that it would be a push for the players… and what a push it was!!!! I loved watching them play - apart from when my player fractured his collarbone! (I love how I call him “my” player now, like I own him somehow…). And when the Sixers took on the win it was just such a good feeling. The crowd, the players and our crew were just so ecstatic. 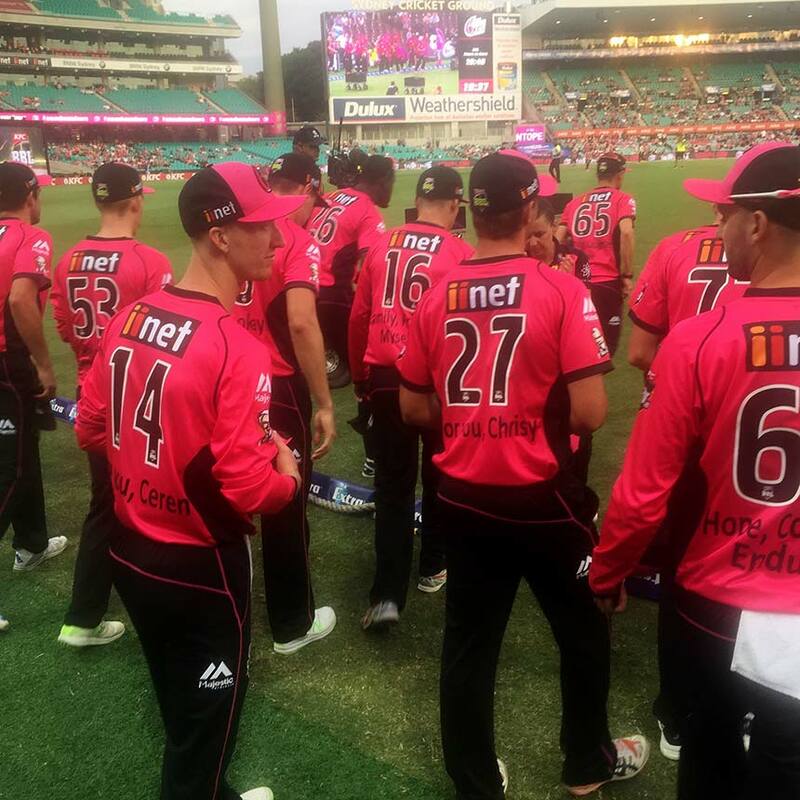 After the game, I got to interview Joe Denly, the player of the match and coincidentally a Sydney Sixers player. I asked him several questions, but the answer that really got my attention went something like this: "The words on my back were certainly an inspiration. My family has had a long battle with cancer, my Mum, my Auntie and my Grandma have all had cancer so supporting and having words like that on my back is certainly an inspiration on the pitch". This answer didn’t just strike me due to the fact that he has had to face this disease personally, but the fact that his answer was so genuine and truly meaningful. It’s so easy for someone to wear a shirt because they had to, but to see Joe and the rest of the team wear their shirts because they wanted to was honestly such an amazing thing to watch. When an adolescent is diagnosed with cancer, they think it is the worst thing in the world and at points there is no doubt that is truly the worst. 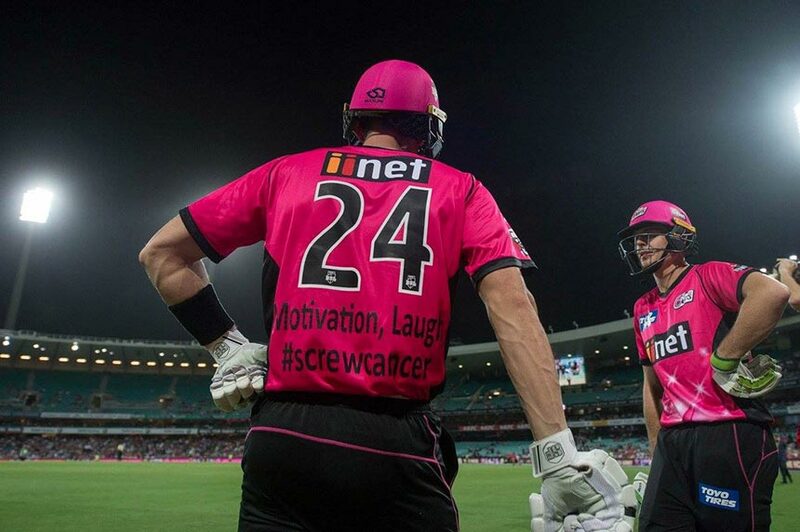 Yet being apart of a community like You Can gives me such a feeling of pride, not just because we have the support of eachother, but because we have the support of groups like the Sydney Sixers and so many other well known companies!! !